Agriculture analysis is a very important aspect to crop growing. 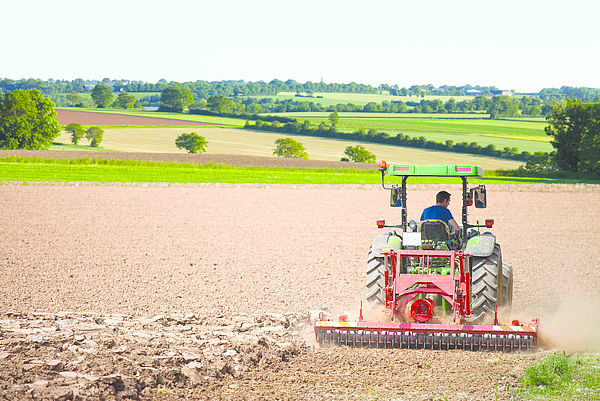 To increase quality and yields, it is crucial to understand the current nutrient levels of the soil to be able to ascertain which areas require improvement. Our LaquaTwin range of portable meters can provide in-field analysis in your pocket. Analyze pH to check for soil acidity and alkalinity, Conductivity to determine optimised fertilizer usage as well as Sodium, Potassium, Nitrate and Calcium levels. The LaquaTwin range can empower you with the analytical data to make the right choices for your growing application. Increasing crop yields is a high priority for growers. Our Fluorescence Spectroscopy instruments can be advantageous to help predict current yield factors and indicate on how to salvage a stressed or poor performing crop. Our FluoroLog Spectrofluorometer is ideal to perform this type of agriculture analys and provide such crop yield indicators. ICP-OES is an analytical technique that is widely utilized throughout the agricultural industry and within research and development institutions. It is an ideal agriculture analysis technique to determine major and minor elements in soils and plants as well as detecting heavy metal contents. Our Ultima has been used in many crop science institutions to undertake such important content detection. Fertilizer manufactures understand the importance of particle size. It directly affects certain aspects including release rates, fertilizer potency and also hazardous dust generation. To ensure quality and consistency, a minimum frequency of measurements must be made and our Particle Analyzers are ideal for this task. Determining the nitrate concentrations of sudangrass and pearl millet before feeding them to livestock prevents nitrate toxicity. Plant sap testing with LAQUAtwin B-743 nitrate ion meter offers fast and accurate nitrate in-field analysis. Generally, the maximum nitrate concentrations considered safe for all cattle are 820 ppm and 700 ppm for sudangrass sap and pearl millet sap, respectively.